As a clinical psychologist Colleen Hirst has seen the damage the internet and smart technology is having on our children and her advice is that we need to set an example and limit our own screen time. “The symptoms are pretty similar to any addiction – but the significant difference is that because we are exposed to screens as a part of day-to-day life from a very early age, our brain development is impacted. 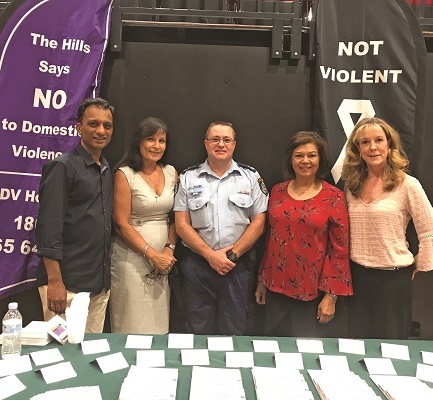 Colleen, from Merrylands Counselling, was keynote speaker at the Hills Parent Forum on Wednesday March 27 in the Pioneer Theatre at Castle Hill. SUBTITLED: Managing Challenging Behaviours with Teens in the Family, it was the fifth forum organised by The Hills Domestic Violence Prevention Network (HVPN). Ken Nathan, the founder and manager of Interventions Plus, spoke about adolescents and anger saying that it was vital parents learnt how to diffuse difficult situations.